Explore ‘The World of Supersaurs’ with our innovative AR companion app. The World of Supersaurs is an adventure series for children created by the author, artist and former BBC children’s presenter Jay Jay Burridge. Set in the 1930s, Jay Jay imagines a world in which dinosaurs didn’t die out but instead live alongside humans. With six books in the pipeline, the first in the series introduces the audience to the exotic Aru Islands, the Raptors of Paradise and the book’s reluctant heroine Bea. Preloaded was approached by Jay Jay Burridge and the Bonnier team to create a companion app that would provide an innovative USP, the means to expand out the Supersaurs world and retain a loyal audience base between book releases. The book features incredibly detailed black and white artwork created by Jay Jay and illustrator Chris West, and the companion app uses Augmented Reality (AR) technology to bring these images to life. 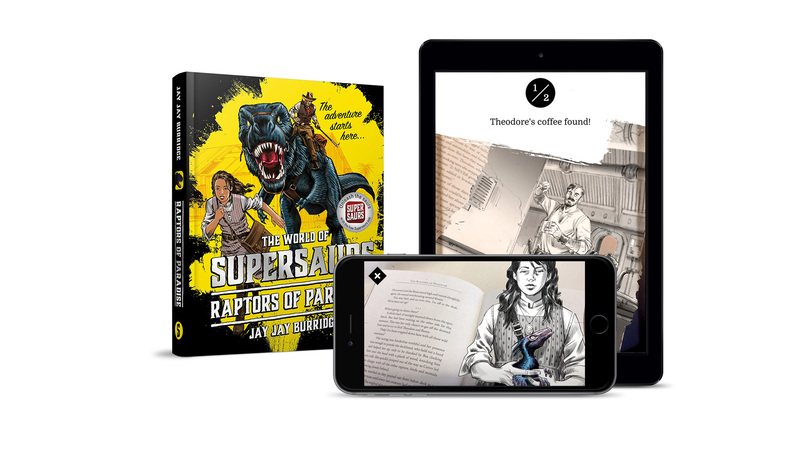 Every image in the book – over 100 – can be brought to life as 3D objects, 2D pop-ups, parallax vignettes or fully animated windows into the Supersaurs world by simply holding the app over the images discovered within the book. 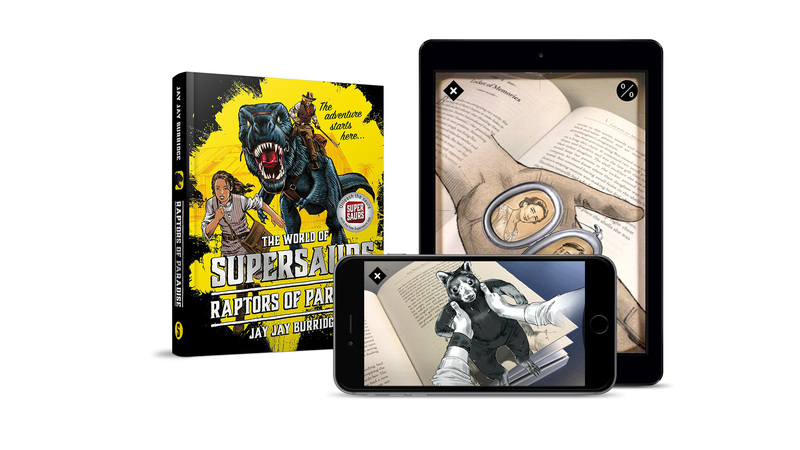 The visual design of the app ties together the strong ‘inked’ style of the illustrations and a subtle 1930s photographic grade to the experience, creating an elegantly reductive aesthetic which allows the AR images and the Supersaurs brand to take center stage. The intention is not to distract from the enjoyment of reading or indeed duplicate the written story, but to extend the richness of the story, and offer new ways to discover more about the characters encountered in the book. Sitting over the top of the AR experience is a game layer designed to sustain engagement with the book for many months. This is, crucially, a longer duration than the traditional reading experience itself. The game system features over 50 missions. From helping Bea track down Saurs for her to illustrate, to helping Aunt Bunty locate her missing umbrella, or learning from Theodore about how to look after Saurs, each mission is associated with a specific character and used to expose their personality and backstory. The mission structure is non-hierarchical and the experience is designed to promote player choice and agency, delivering a ‘high-ceiling’ experience which caters to a range of abilities and rewards player mastery. It also features in-app purchases to acquire new missions once a player has exhausted the basic set. Alongside the AR and game experience, the app also provides the audience with a formal touch point for the brand and the means to access their community website or make a direct purchase. It also includes full data capture and CRM integration. The app is designed as a companion to Book 1, but has been developed to be easily updatable to accommodate future content updates and future books in the series. The app is available now on iOS and Android.